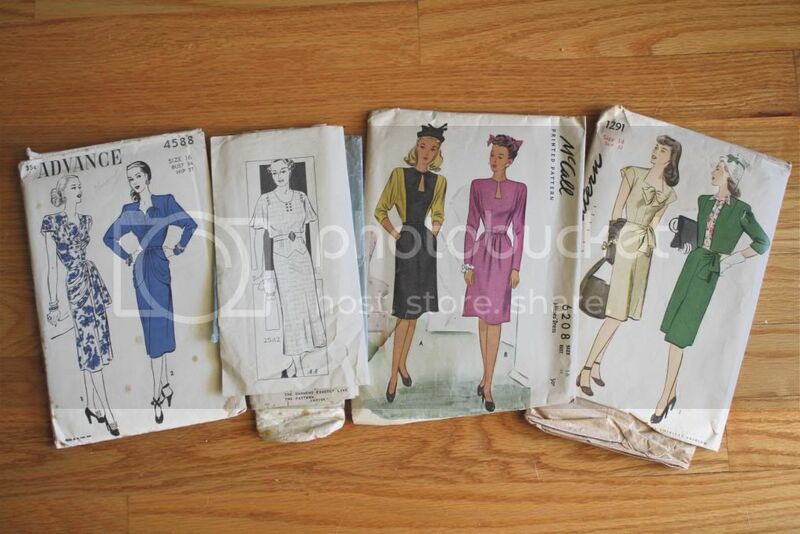 We didn’t do too much thrift store shopping this week so I only have a few finds to share. We skipped the estate sales last Saturday and instead headed down to Los Alamos to restock and re-arrange our antique space and also check out the Old Days festival that was going on in town. I’m sorry to say I didn’t get any pictures of it! I was so busy trying to hold onto my lunch, purse, and a plate I bought that I never had an opportunity to take out my camera. Oh well, maybe next year! Anyway, it wasn’t nearly as big as I thought, just a small car show and a few vendors. We went to a few antique shops on Sunday, and that’s where we found these little toys and charms. Phillip is collecting them to fill up a bubblegum machine that he’s restoring. 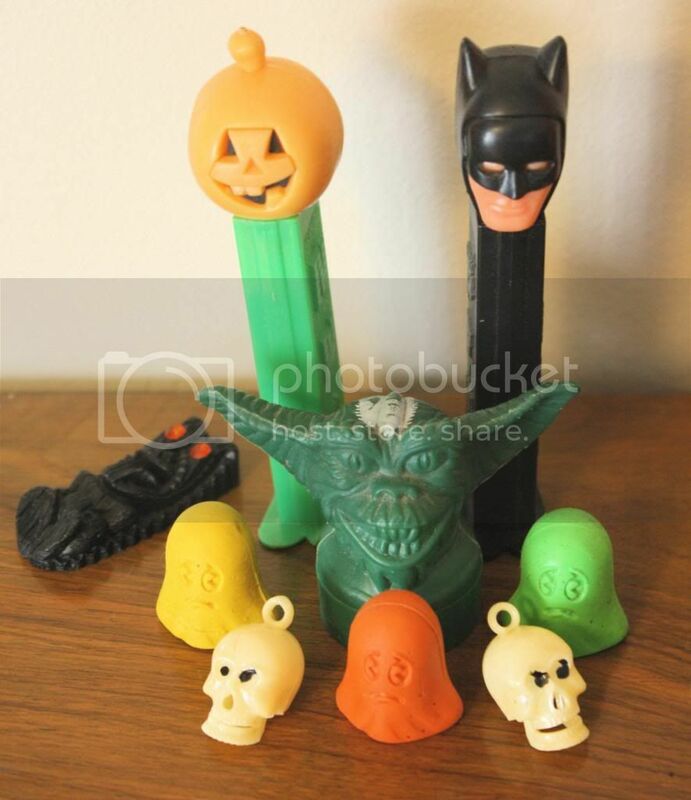 We found the PEZ dispensers at a local thrift shop we stopped in after work on Tuesday. My friend Erin tipped me off about some vintage patterns for sale at a local antique shop, so I stopped in on Sunday to check it out. They weren’t displayed but I asked the shop owner and he brought a box out for me and I bought these four for $2 apiece. I’m not sure when I’ll get around to making any of them, but I’m pretty excited nonetheless! It’s great when your relatives know you collect vintage, because sometimes they give you some awesome stuff! 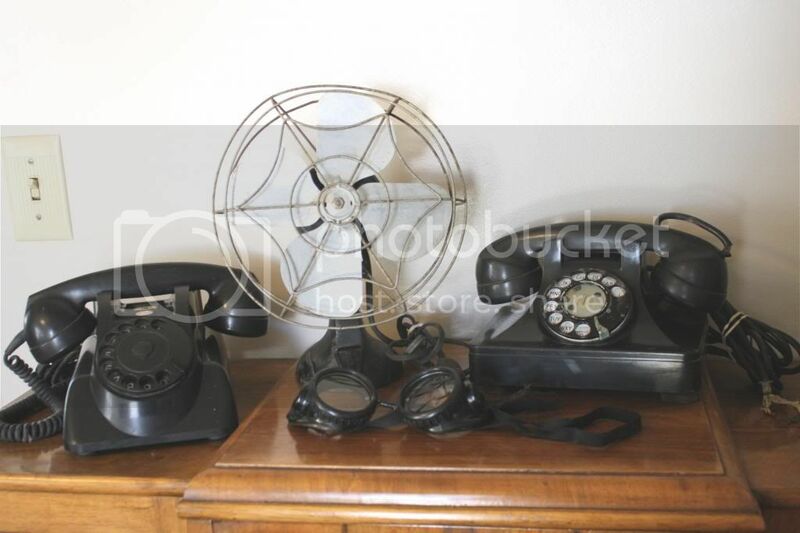 My grandma recently cleaned out a shed and she set these rotary phones, fan, and welding goggles aside for me. They’re headed for the antique booth! Thanks Grandma! What did you find at the thrifts and sales this week? 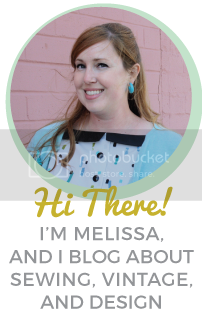 I’ll be linking up at Apron Thrift Girl, A Living Space, Sir Thrift A Lot, and Joyful Treasure Hunting. Head on over and check out all of the finds for this week!